Barclays will hire 100 new staff in its private bank as it launches its second attempt in the last seven years to win more business from wealthy clients, a source with direct knowledge of the plans told Reuters. The hires will be a mixture of relationship managers - the money-earners in private banking who attract and serve customers - and the administrative and risk management staff necessary to support them, the source said. The push marks a change in direction for the British lender after a previously failed expansion ended in 2014 with Barclays folding its wealth management business back into its retail bank as it missed ambitious growth targets. Barclays will now seek to bolster the staff in its private banking hubs of London, Dublin, Geneva, Monaco, India, Dubai, Jersey, Guernsey and the Isle of Man, the source said. 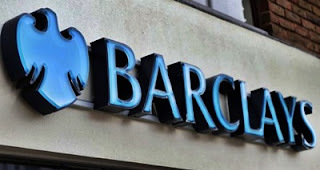 "In line with Barclays International's overall strategy we are positively investing in Private Bank & Overseas Services," a spokesman for Barclays said. Banks worldwide are pushing into private wealth management, lured by the booming numbers of millionaires in fast-growing economies such as India and China. However, many have struggled in a business facing tighter regulation and where customers are reluctant to move banks. Even UBS, the world's largest wealth manager, has posted broadly flat revenues for the past five years despite its assets under management rising by around 30 percent. "It's an unforgiving and brutal market at the moment, with a very expensive delivery model and competition that's driving pricing down," said Seb Dovey, managing partner and private banking expert at Scorpio Partnership. Barclays' strategy will be different from its last attempt, according to the source familiar with the plans, and will focus on increasing profits rather than assets by improving the products and cooperation with Barclays investment bank. The hires will be in Barclays Private Bank & Overseas Services, the arm of the lender's wealth division which sits inside the Barclays International unit run by Australian Tim Throsby. Reuters reported on May 11 that Throsby had announced a major reshuffle of his lieutenants and is seeking to hire 50 to 100 more staff in the investment bank, as he tries to boost returns across the Barclays businesses under his control. Barclays named former Goldman Sachs banker Karen Frank last September to run the international private bank business. Barclays had around $90 billion of AUM in its private bank at the end of 2015, according to data from Scorpio that the consultancy verified with Barclays. In the longer term the bank may try to expand its wealth business in Asia through its Singapore hub, the source said, even though Barclays sold its private bank there in April last year to Oversea-Chinese Banking Corp.